Here we start coding (finally)! As I wrote before I’m going to use Hibernate as ORM (Object Relational Mapper). 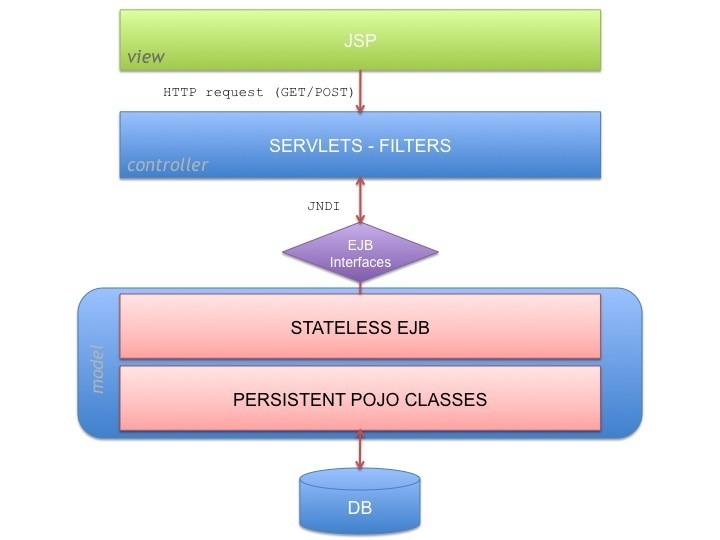 I very few words Hibernate map database tables to POJO classes to achieve persistency. To make the class map correctly the table we need to add some extra information to the code. This could be done with an XML file for each class (let’s call it Entity from now) or with annotations. I choose annotations (JPA ones implemented by Hibernate) because I think is better to keep everithing on the same file and I do not have to switch from a Java file to an XML file. My first idea was to generate that classes automatically and actually i did it with Hibernate Tools for Eclipse, but I was not satisfacted with the generated code, so decided to do the other way round and generate the tables from the classes. It was not so easy to find out how to achive it but after a deep deep deep digging in google I’ve discovered a great tutorial site with many examples for Hibernate. Moreover the examples on that site are done with the last version of Hibernate. Follows auto-generated contructors and setters/getters. I really like annotations because they are self-explaining and could almost replace comments. meta_ts and meta_user are logging data they represent date and user of tuple creation. 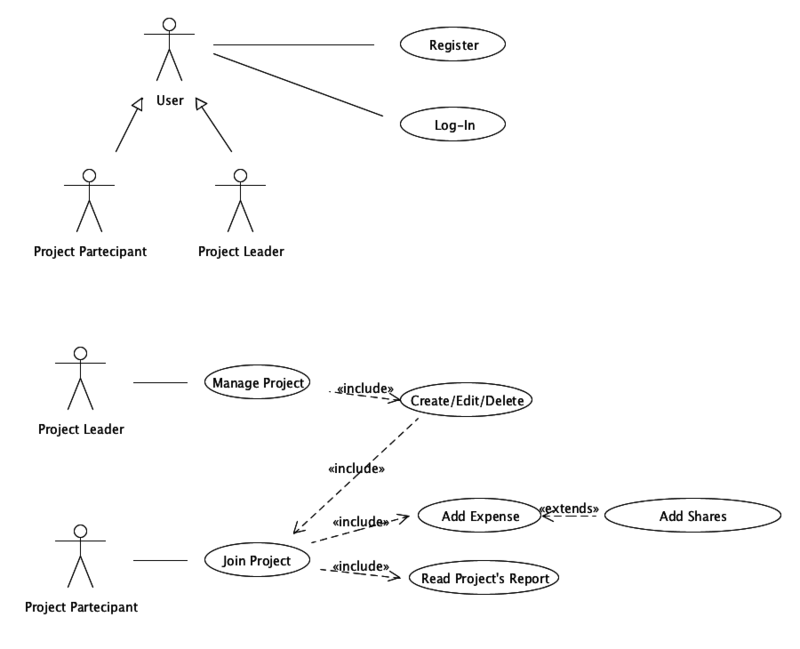 ManyToMany relationship between User and Project, there are a join table (Partecipate) for this relationship which hold also the leader of a project. I’m going to make Hibernate generate the database form me so I’m quite sure the final schema will be slighty different from the one above. Face a new project imply selecting the tools/technologies you’ll be using during developement. Here is a brief excursus on what I’ll use. Eclipse is a very powerfull IDE, I’m using it every day at work for PHP developing that’s why i feel so comfortable with it. Furthermore Eclipse has born for Java developing so i thing this is the right choice. Because it’s free and I know it quite well since I’m using it for more than 6 years, I could choose SQL Server (the one we use at work) but since it is not free and I’m developing on a Mac that’s it. 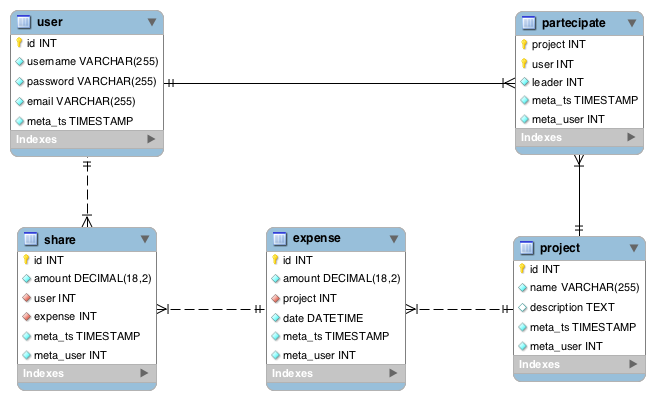 Moreover MySQL has MySQL Workbench which is a very usefull tool form designing/managing databases. This is a project requirement, but i would have use it the same as it seems the most used out there and i want to learn it.